There aren’t many good jokes about constitutions. In fact, I’m not sure there are any jokes about constitutions. Be that as it may, British comedian Jimmy Carr has sparked a debate about the constitutional future of a small British island off the coast of France. Carr isn’t my cup of tea. I sat next to him on a flight to Jersey once; we didn’t talk and I find his humour too close to the snide and oily end of the comedy spectrum. But clearly my view’s not widely shared as he’s made lots of money and put some into a tax avoidance scheme in Jersey. The prime minister said it was immoral, Jimmy’s been contrite, and Guardian readers are being asked in an online poll ‘Should Jersey have constitutional independence from the UK?’ At the time of writing (the poll is still open) 62.3 per cent of respondents say ‘yes’. Judging by readers’ comments, most would add ‘… and good riddance’. What’s puzzling is that while independence talk is fast and frequent in the north of the Kingdom, in the southernmost part of the ‘British Islands’ (a legal term of art: see theInterpretation Act 1978, schedule 1) it’s sporadic and peripheral. There aren’t many buses serving the rural parish in Jersey where my family has lived in since the 14th century, but I suspect a straw poll on the No.4 would reveal four reactions and an overall picture completely at odds with the Guardian poll. (1) Don’t be silly! How can a 46 square mile island with a population of 100,000 become a sovereign state? That would be like ‘Passport to Pimlico’. (2) No independence please, we’re British! There’s no doubt that Jersey is British, even if names of people and places are often in French (and these days, Portuguese and Polish). Some people fear that independence would undermine cultural, family and economic ties with the UK. (3) That would be bad for business! Jersey’s economy is dominated by the finance sector. There are frequent skirmishes – OECD initiatives on harmful tax competition, EU pressures on ‘zero-ten’ tax policy, VAT low value consignment relief, Jimmy Carr. It is an industry that sells, among other things, the allure of constitutional stability and talk of change risks deterring customers. (4) We don’t trust Jersey politicians and ‘the Establishment’! Some people argue that independence would remove the safety net of UK government’s longstop ‘good governance’ oversight of the island’s internal affairs. It wouldn’t surprise me if nobody on the bus were in favour of independence. But times change and constitutional ideas that in one era are marginal can gain traction. What is the current position? Jersey, along with the entirely separate island jurisdictions of Guernsey and the Isle of Man, are constitutionally speaking ‘Crown dependencies’. They enjoy (and have done for centuries) something along the lines of ‘devo max’ proposed for Scotland: the islands have full fiscal autonomy and are for almost all purposes internally self-governing. They have never been part of the UK. The Queen formally makes some senior appointments and the Crown is represented by a Lieutenant Governor, which many people think lends an air of dignity and ceremony to island life. From the island’s point of view, another benefit of the current set-up is that there is no need for any defence provision, diplomats, or other apparatus of statehood. The Crown dependency relationship is not set in aspic. In recent years, the islands have collectively and individually asserted greater autonomy. In an interconnected world, the previous internal (leave it to the islands)/external (leave it to the UK) dichotomy doesn’t work as well as it did. The islands were given a place at the table of the British-Irish Council (without much consultation I suspect) in 1999. The preamble to the States of Jersey Law 2005 captures the direction of travel as it recites ‘WHEREAS it is recognized that Jersey has autonomous capacity in domestic affairs; AND WHEREAS it is further recognized that there is an increasing need for Jersey to participate in matters of international affairs …’. In 2007, the Jersey and the UK governments agreed a concordat (Framework for developing the international identity of Jersey). Jersey has been allowed sufficient international legal personality to sign international agreements with other countries (on double taxation and tax information exchanges). In 2010, the all-party UK House of Commons Justice Committee in their inquiry into Crown dependencies was supportive of greater autonomy and critical of meddling by the UK Ministry of Justice. Jersey and Guernsey have opened a representative office in Brussels and another is planned forLondon. Against this background – which many in the island would see as the best of both worlds – there has been little appetite for independence. A few years ago, advised on constitutional issues by Sir Jeffrey Jowell QC, the Jersey government carried out a feasibility study about what independence would entail and how much it would cost, but this was presented as prudent contingency planning. Sir Philip Bailhache (Jersey’s former Bailiff who stepped down from judicial office to stand in the 2011 election election, and who is now ‘foreign minister’) has shown tenacity in putting the idea of independence on the agenda of elite circles of lawyers and financiers – who listen politely but whom I sense are unconvinced of either the desirability or practicality of independence. Notwithstanding Guardian headlines, he says that he not advocating independence but rather calling for the continued evolution of Jersey’s relationship with the UK Government. It is difficult to know what ordinary people in Jersey think. Certainly, there is no grass roots independence movement. The politics of independence are strange. Unlike Scotland and Wales, nobody with left or green leanings in Jersey seems to have spotted the opportunities that severing the apron strings from London civil servants and UK ministers would bring. Most members of Jersey’s disorganised centre-right government in the party-less States, would probably rather the ‘I word’ was not used in public. Instead, the talk is of developing an international personality (described above) and standing up to the UK (whatever that means). Despite difficult economic times, the finance industry is doing well in Jersey at the moment (in 2011 there was a reported upturn in profits of just under £1.1 billion). With both the progressives and the pro-finance industry establishment politicians against independence, it’s unlikely we’ll ever find out what people on the No.4 to Trinity think. Evolution rather than revolution therefore seems to be the most likely course. I have two suggestions for further change to core aspects of constitution – the legislative process and arrangements for appointing judges – that are likely to irk both progressive and establishment thinking in Jersey (so they must be about right). First: the grant of royal assent to legislation passed by the assembly of the States of Jersey should be patriated to the island. Currently, Laws are subject to a vetting process by a team (in these straitened times, probably of one) in the Ministry of Justice before being cleared for royal assent through the Privy Council. In its 2010 inquiry, the UK House of Commons Justice Committee was satisfied that the Law Officers’ Department in Jersey was more than capable of carrying out human rights audits of proposed new laws. Although I gather there’s subsequently been some streamline of processes in London, a more radical solution is needed: get rid of the London add-on to Jersey’s legislative process. The price to be paid for this, however, is that Jersey’s elected representatives would need to up their game and take an interest in ensuring that they are satisfied with ministers’ and law officers’ assurances on human rights compatibility are credible. Former Deputy Bob Hill failed in his attempts to involve Jersey’s parliamentarians in reviewing legislation through an official human rights scrutiny committee. This would need to be revisited. Second: responsibility for appointing judges and the law officers of the Crown should be patriated. The UK Ministy of Justice currently has the final say on appointments of the most senior judiciary, and on their removal (the Home Secretary, the minister then responsible for Crown dependencies, removed Deputy Bailiff Vernon Tomes from office in 1992). What Jersey should have, in my view, is an independent judicial appointments commission (consisting of locals and expert outsiders) responsible for all judicial appointments. As well as signifying the autonomy of the island’s legal system, a judicial appointments commission would solve two problems. It is wrong as a matter of constitutional principle for one judge to appoint another: I would therefore remove the Bailiff’s power to appoint magistrates. On constitutional principle, I am also against judicial selection by election: jurats (the senior lay judges of fact in the Royal Court) are chosen by an electoral college of politicians and the legal profession in secret ballot. 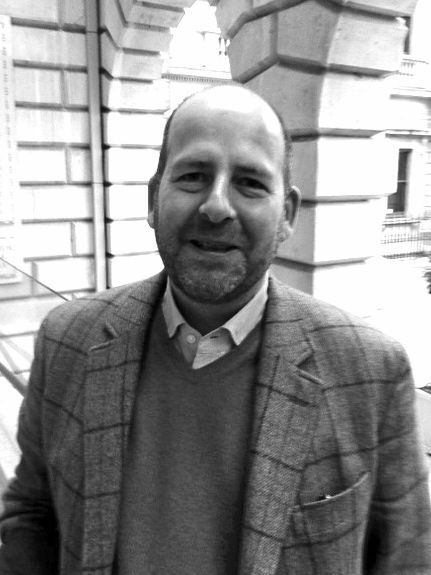 Andrew Le Sueur is co-convenor of the UK Constitutional Law Group. This entry was posted on June 28, 2012 by UKCLA in Comparative law, Constitutional reform, International law and tagged independence, Jersey, Jimmy Carr, microstates.